The theme of this year’s National Infertility Awareness Week is “flip the script”. I have struggled with how to incorporate that theme, until I was sitting at my support group meeting on Monday night. I sat there talking with my therapist, who leads the group, and we started discussing all of the things I’m grateful for. Talk about flipping the script. So often we view infertility as this ugly, terrible thing that happens to 1 in 8 couples. Don’t get me wrong, it is ugly, and it is terrible (see my post from Tuesday). But there are also so many hidden blessings in it. Infertility is really f-ing hard, y’all. But I’m so grateful for this experience we’ve been through. I’m grateful that it has taught me patience. Patience while waiting for a baby, patience while waiting for our next round of treatments, patience while waiting for results. We have had to wait SO MUCH throughout this process. I would argue that I was probably the most impatient person in the world when we started this journey. I have learned the results will be what they will, and there’s nothing I can do but sit back and be patient. I’m grateful that infertility has brought me and my husband closer. Now that’s not something I would have said two years ago. We have had to work hard to let this bring us together instead of pulling us apart. I feel like together we can accomplish anything. Through this journey, we have learned to cry WITH one another, not try to hide our feelings from each other. And that has allowed us to have very open and honest conversations in order to keep moving forward, together. On that note, I’m also so grateful that our struggles have shown me even more the amazing qualities that I admire in my husband. He has been my rock. He has picked me up when I felt like I couldn’t stand. He has been my teammate through this battle, as we face everything together as a united front. He has been my fertility injection administrator, as he cheers me on each step of the way (I’m pretty sure he teared up the first couple of times he gave me my injections, because he hated so much that “he” was inflicting pain on me). He has shown me how much unconditional love he has for me, even on my craziest days. He has carefully selected our meals for the week to ensure I get the right amount of nutrients for my “fertility diet.” And he has done whatever needs to be done to get us to that next step, and does it with optimism and a cheerful attitude. I’m grateful that infertility has shown us what an amazing support system we have. And wow, do we ever. I have always known how great our family and friends are, but they have stepped up and shown up and supported us every step of the way. We’ve reconnected with friends that we had lost touch with, because they care and they reached out. I’ve met some of Reid’s friends from high school and college via social media, because they reached out. I’ve had friends who have openly discussed their struggles with me. I’ve had friends who don’t share the same journey, but they have learned how to ask the right questions and to TALK to us about our infertility, instead of avoiding the topic. I’ve had friends and family members of friends reach out, many people whom I’ve never even met, just to say they're praying for us. I’ve walked into a room and been introduced to someone, for them to respond “Oh, you’re Abby. I follow your story and have been praying for you.” I’ve had a friend whom I almost never talk to approach me in the middle of a child’s birthday party and nearly make me cry as they share how much they’ve been praying for us, and how happy they were to see me there. I could go on. I am so grateful for this support system of ours, which grows each day, and gives us the strength to push forward. I’m grateful because our struggles have allowed me to open the conversation about infertility and pregnancy losses within our circle of friends and family. My dad was having a conversation with his co-worker recently about infertility and pregnancy loss. MY DAD. If you know my dad, you know this is a big deal, as he tended to shy away from difficult topics such as this in the past. I have friends who are sharing our story and my blog with others, and have a little better understanding of how to support those struggling through infertility. I’m so grateful when someone feels comfortable enough to ask me about the next round of IVF, and asks those “uncomfortable” questions because they are so genuinely interested in learning more. I love any opportunity to educate others about IVF, infertility, and pregnancy losses, because I feel it can only help them to have a greater understanding and support someone else in the future. I’m grateful because even though we are not at the end of this struggle, our story is shared as one of hope. Through our t-shirt campaign and all of our support system, we are sharing the message to “expect miracles” with others who may be dealing with a difficult time – any difficult time. I’m grateful to have found an online fertility (or rather, infertility) community of women who support each other and celebrate each small milestone together. Seriously, most of these women have never met in person, but the amount of encouragement they give one another is unreal! And those that I have met in person, through our local support group, have become very close friends of ours who have seen us through some of the toughest times. I’m grateful that we have the means, support, and ability to be going into round 3 of IVF. A lot of couples don’t have that luxury, and it breaks my heart. I'm grateful and excited to be able to go through another round of IVF. 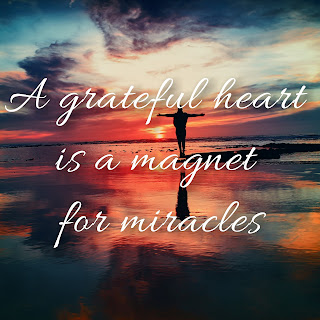 Point is – there is always something to be grateful for. Some days it’s really freaking tough to see that, though. I am grateful for our infertility journey, and all that it has brought. We are stronger, more patient, more empathetic, more grateful, and more open people because of it. Only God makes the most gut wrenching painful seasons full of purpose and intent. It's such a wonderful place to be when we can say, thank you Lord for this season. I am in awe of His grace and mercy and so glad this is how God is moving in you! Thank you so much for sharing hope during infertility. 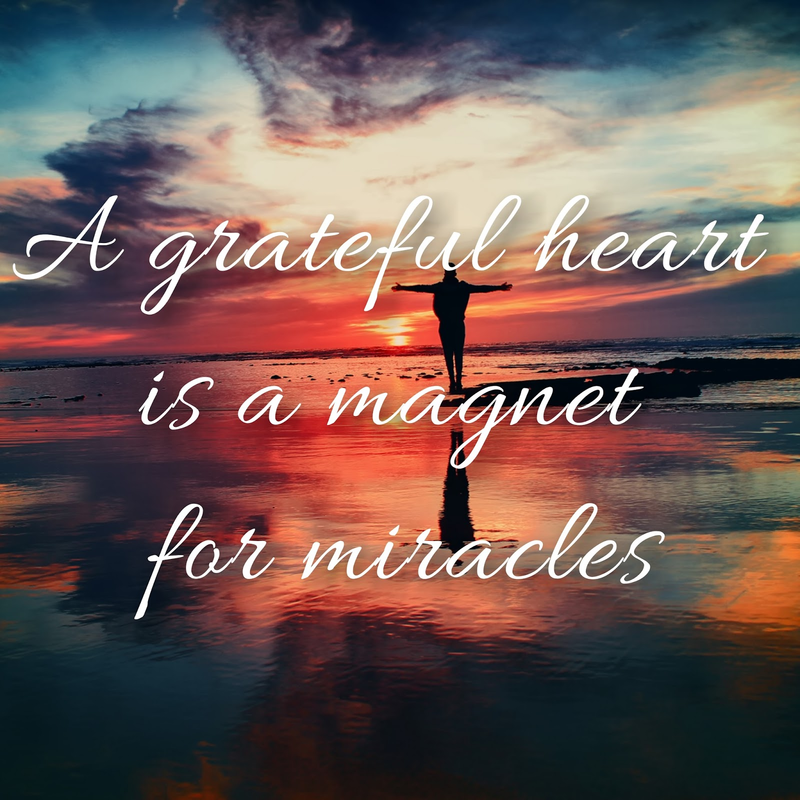 Sometimes finding gratitude in the hard stuff is just, well, hard! I'm right there with you, making the consistent choice to find the joy and the beauty in the ashes. Keep looking up!